Our Econo Lodge North hotel in Lake City, FL is easy to find, easy to book and easy on your wallet. 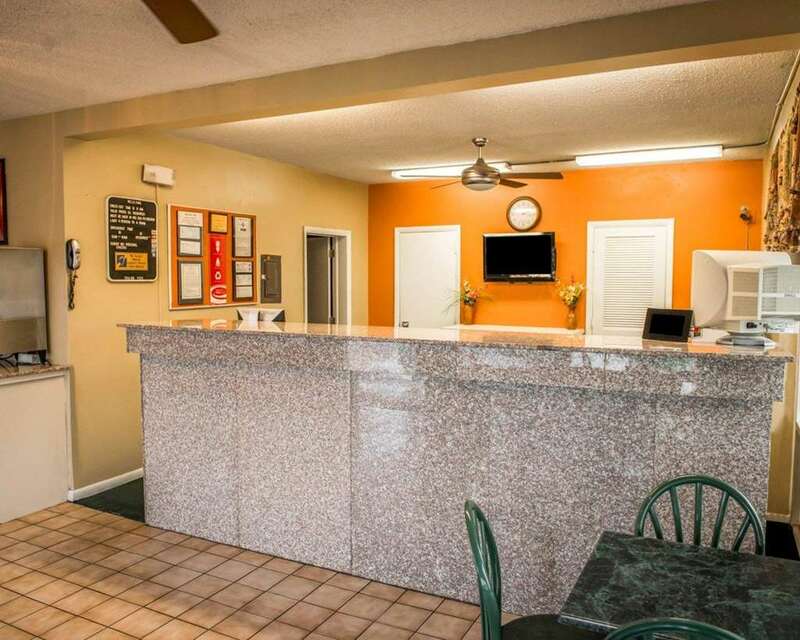 Our pet-friendly hotel is close to several local attractions, Suwannee River, Suwannee Music Park, Stephen Foster Memorial and Lake City Community College. We offer every guest a free continental breakfast, free WiFi, outdoor pool, laundry facility and free coffee. Unwind in one of our guest rooms, all of which feature a microwave, coffee maker and a TV. Also, earn rewards including free nights and gift cards with our Choice Privileges Rewards program. Pet accommodation: 10.00 per pet/night - only pets under 20LBS allowed.